This 400-acre, four-season resort is in the heart of Flathead Valley, home of Glacier National Park, Flathead Lake, the Big Mountain, and an array of excellent golf courses. 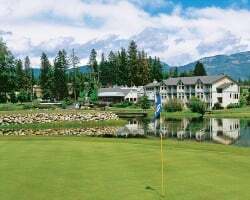 *Meadow Lake* hosts an 18-hole championship golf course, a recreation and fitness center, year-round heated pool and spas, a tennis court, ice-skating, cross-country skiing, a restaurant, and lounge. 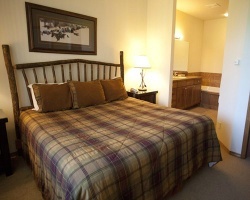 It is minutes from snowmobiling trails and offers a complimentary, daily ski shuttle to Big Mountain Ski Area. Troop Meadow Lake offers seasonal supervised children's activities. All-seasons resort with activities for everyone! 3 weeks per year! Buyer may receive a title fee credit, inquire for details! Price reduced drastically! Highly Motivated Seller! Great suite with the option to separate for privacy! Buyer May Receive A Title Fee Credit! Enjoy Montana's natural beauty! 3 floating vacation weeks per year! Buyer may receive a title fee credit, inquire for details! Choose to just relax or enjoy a wide variety of activities! Buyer May Receive A Title Fee Credit, Inquire For Details! $13,900 or best offer!!! Lovely all-seasons resort! Yearly usage in September week 38! Maintenance fees paid in full! Make an offer today! Quiet and peaceful location! Floating week of your choice! Buyer may receive a title fee credit, inquire for details! Come enjoy the many outdoor activities available! Floating week in the fall season! Inquire for details! Gorgeous resort! 300,000 annual points! Extra week every 10 years! Motivated seller! Neg! Witness the surrounding, breathtaking mountainous scenery established in Montana! Buyer may receive a title fee credit, inquire for details! If you enjoy the outdoors this is perfect! Glacier village! Buyer May Receive A Title Fee Credit, Inquire For Details! Spend week 3 in Montana! Outdoor lover's dream! 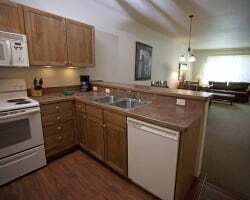 Many onsite amenities! Buyer May Receive A Title Fee Credit, Inquire For Details! Annual floating week! Many outdoor activities to enjoy! Buyer May Receive A Title Fee Credit, Inquire For Details! 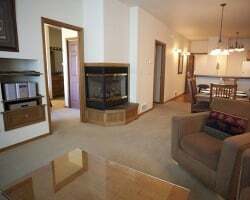 Outstanding resale near Glacier National Park - annual week 27 at this four season Montana resort! Very close to Big Mountain at Whitefish, Glacier National Park and Flathead Lake! Serious Offers Considered. Attention golf & outdoor lovers! All-seasons resort with large suite on the 10th green! Yearly usage in 3 floating weeks! Make an offer! Wonderful resort near Glacier National Park! Annual Floating Week with 3 weeks available now! Ideal location for golf lovers! Buyer May Receive A Title Fee Credit, Inquire For Details! Take part in one of the many activities available onsite or just sit back and relax! Buyer May Receive A Title Fee Credit, Inquire For Details! Explore the great outdoors! Buyer May Receive A Title Fee Credit, Inquire For Details! With membership, week exchanges for 66,500 RCI points for global exchange! Buyer may receive a title fee credit, inquire for details! Enjoy the natural beauty of nature in beautiful Montana! Buyer May Receive A Title Fee Credit, Inquire For Details! Plenty of water based activities to enjoy close by! Buyer May Receive A Title Fee Credit, Inquire For Details! 3 Floating platinum ski season weeks at this lovely Montana resort! Prime ski location! Buyer may receive a title fee credit, inquire for details! All seasons spa resort near Glacier National Park! Yearly usage in Red season week! Make an offer!